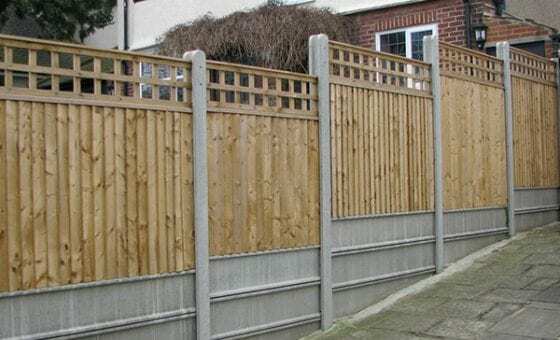 Post and Panel Fencing comprises heavy-duty slotted posts and infill panels that have a shiplap finish to the front face. 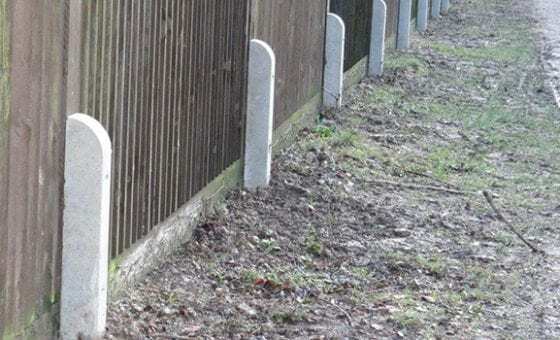 An optional application of durite stone (Canterbury Spar) to the reverse face provides an alternative finish, which additionally is less prone to graffiti. 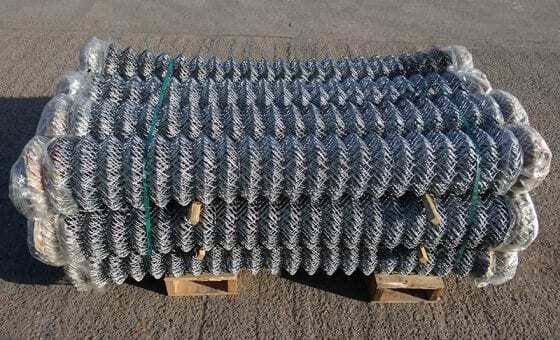 Cranked top posts are also available to incorporate a barbed wire topping. 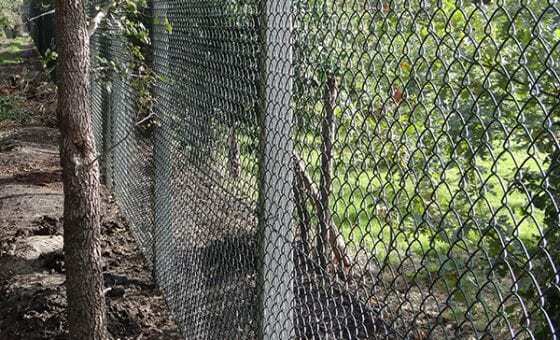 What is concrete panel fencing? 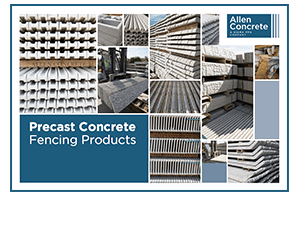 Concrete post and panel fencing from Allen Concrete comprises heavy-duty slotted posts and infill panels that have a shiplap finish to the front face. 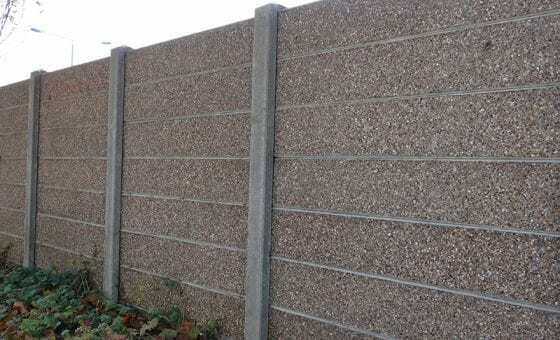 An optional application of Durite Stone (Canterbury Spar) to the reverse face provides an alternative finish, which additionally is less prone to graffiti. 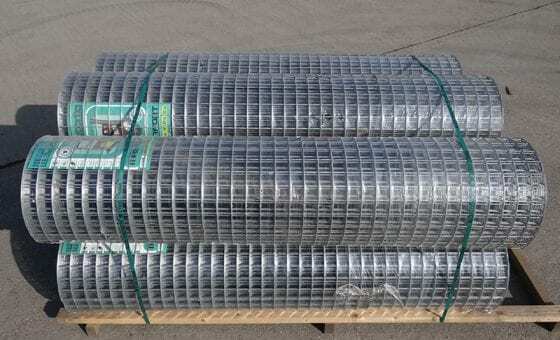 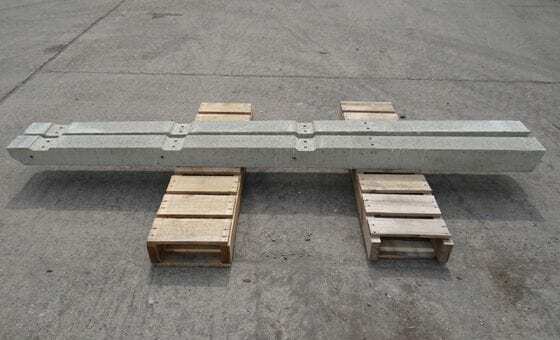 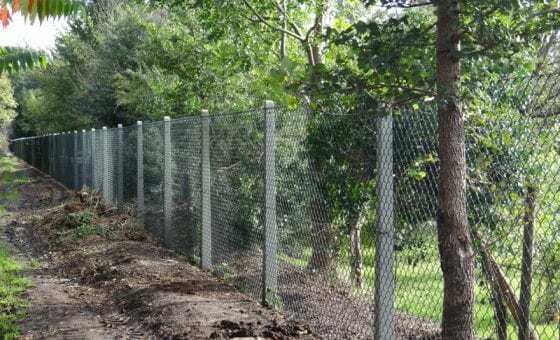 Due to the sound insulating qualities of concrete, concrete fencing is especially preferable in high noise areas, such as by railway tracks or roads. 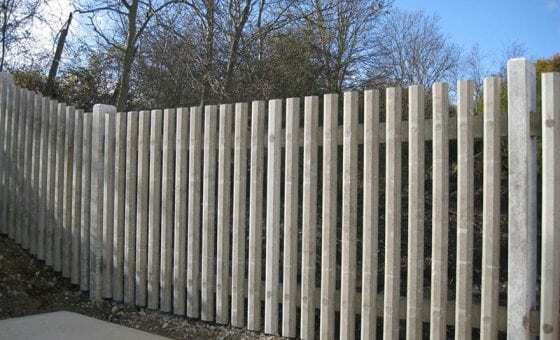 One of the major advantages of concrete fence panels over their wooden counterparts are the increased security benefits. 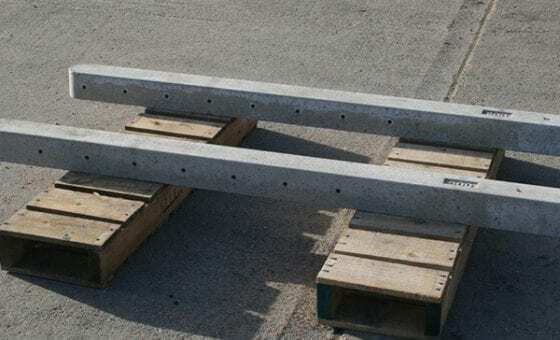 What is a Durite Stone finish? 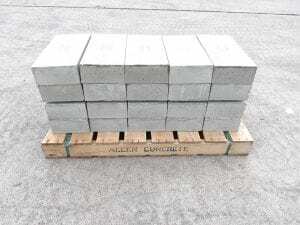 Durite Stone or Canterbury Spar is an aggregate used to create a pebble dash finish. 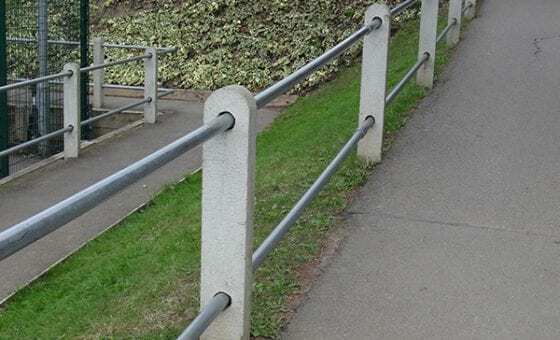 A mix of salmon pink, grey, brown, white and black stone, Canterbury Spar looks attractive and discourages graffiti. 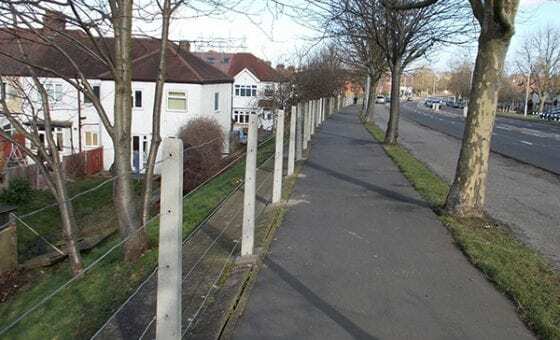 Due to its textured finish spray paint cannot settle evenly, reducing the threat of graffiti, improving the appearance of the surrounding area. 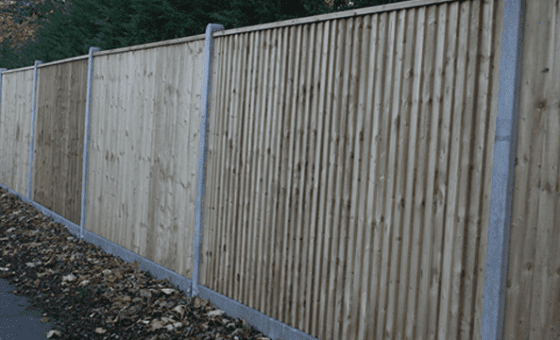 For all our sizes and product drawings, please view our view our fencing technical specifications or call us on 020 8687 2222.